Cricket has come out with a refillable lighter, and I'm impressed. Not only does it light well (with a safety button to prevent accidental light ups), but it is not a toss away like lighters today. This is a big deal for someone who lights up grills on a regular basis. I remember well when my Granddaddy had a silver lighter and filled it with fuel when it ran out. He only had to invest in more fuel and did not have to throw out a lighter every time it stopped firing. It's been years since I've seen people use anything but toss away lighters, and as an avid outdoor cook, I always feel a twinge of guilt when I toss out a perfectly good plastic casing. Cricket contacted me with these new lighters and asked if I'd like samples. These long tipped lighters are the style I use, because it's so easy to get a finger burn with the small, standard cigarette lighters. I thought the refill idea was great. I did want to try out the Cricket lighters and pass the word if they worked well. I mucked up my leg really bad and couldn't grill here for a while, but my son tested out the blue Cricket lighter at college. He said it was great and that I'd love it. I finally got back on the grill and used the black version. Those are the two current colors. The Cricket lighter has a nice grip and is easy to start though does have two button start up controls for safety. It's similar to the start up on my small chain saw, so that was easy. Included with the lighter is the refill cartridge below . . . The lighter refill just slips right in the handle. It's packaged as above, so it's safe. You don't have to worry about handling possibly toxic chemicals. This is more of a concern with small kids. One of my sons drank some lighter fluid once. That was a trip to the ER. I don't use lighter fluid at all now. A chimney starter works much better and is safer. This is not a forever refillable device. I guess plastic wouldn't be safe for years and years like Granddaddy's silver lighter. Still, it means two less lighters for every one used which can be a lot for barbecue people. And, it's handier to have a refill than to carry the large full casings. 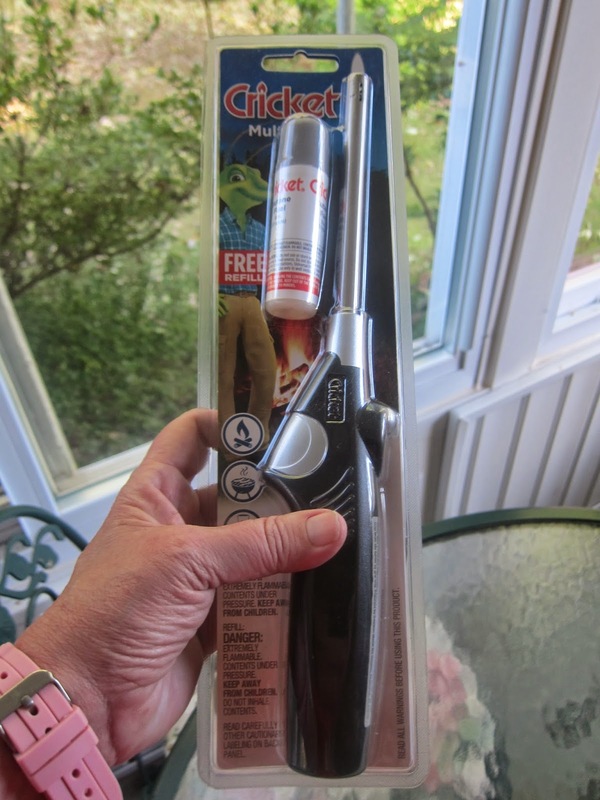 I say thumbs up to the Cricket Multi-lite for grilling and general home use. It's a quality lighter with the length to easily start my chimney starter to fire up the grill, and I love that Cricket shifted to refills. Very sorry to hear about your leg! Hope you are fully recovered. 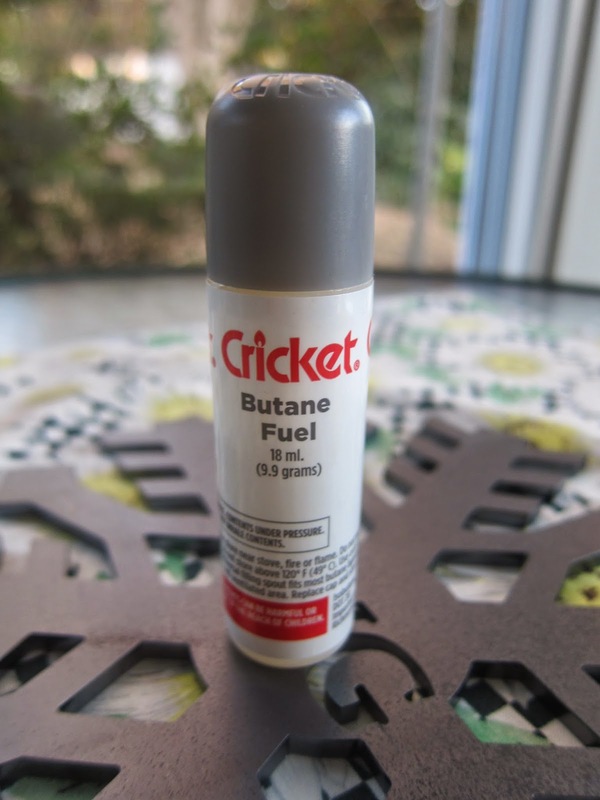 Thanks for passing along the information on the Cricket refillable lighter. I always have 3-4 of the plastic disposables around the house. It seems like I throw one away every weekend. Nice to know there is a better product on the market.